Not too long ago, Content Management Systems (CMS), were a novelty around the web and not every developer was comfortable building websites that had this kind of functionality. Being able to edit or add content, images, videos and pages through a CMS was an “extra” for anyone who had the time and money for it. That is no longer the case. The web is growing exponentially through an infinite spectrum of web ready devices, making it enjoyable for everyone. Websites aren’t static anymore, they are “web applications,” which means they do things; they’re social, and they communicate with their users. The bar is higher now for anyone building for the web and people expect more than just a static site with three pages and a contact form. Most importantly, they expect a way to easily maintain and expand their site without needing any experience with code. As developers, how do we tackle this issue? Or better yet—this opportunity? Enter WordPress, a CMS that’s been around for 10 years now, created and fueled by the community and always advancing on how we create and manage the web. Born for blogging, and then growing to be uncategorized and unrestrained, WordPress has become one of the most popular and loved CMSs out there. Its versatility and ability to tailor to the needs of anyone, has created the status quo on how a CMS should work. Unfortunately, despite its popularity, WordPress still troubles on removing the stigma of a “just for blogging” framework. The truth is, WordPress can do absolutely anything and its possibilities are endless. The community behind WordPress is continuously advancing and molding towards the future. It will always get better, version after version. It has a plugin for that. A diverse library of add-ons and plugins allow any developer or user to expand their site no matter what their need is. Whether it’s the engine or the look, there is absolutely nothing that can’t be customized to fit the user’s need. An intuitive interface and design make this CMS extremely easy to understand and ultimately, easy to manage – a quality that separates WordPress from its competitors. WordPress has become a popular choice for many blogging and non-blogging websites. As a platform that’s been around for a decade, it is still young and eager to grow and become better. 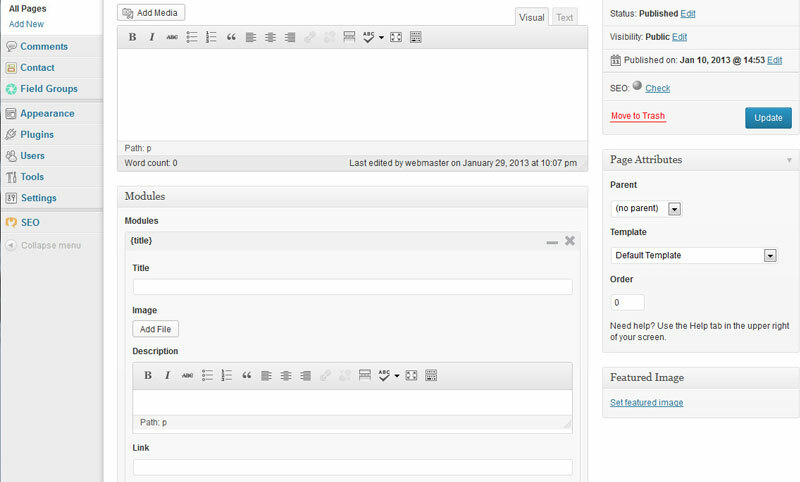 Anyone who hasn’t experienced WordPress yet, should. There is a reason why 18% of the Internet is powered by it.